IP finance: Social media websites enhancing goodwill? Initial findings of a US research study trying to find out more about the power of online word-of-mouth have recently been published. The study, entitled “The Impact of Social Media on Purchasing Behavior”, commissioned by DEI Worldwide and conducted by OTX, reveals that consumers rely on various types of social media websites (such as blogs and chat rooms) as much as on company websites for product and brand information. According to the study’s findings, 70% of consumers have visited social media websites in order to get information on a product; 62% of consumers find the information received from a brand representative more valuable than advertisements. The study concludes that companies using social media have a greater opportunity to not only reach more customers, but also to increase their likelihood of making a purchase. Companies should integrate “social media marketing” into their marketing mix in order to successfully engage consumers online and to influence their buying choices. Online word-of-mouth is also an issue dealt with in a new book by Richard Owen and Dr. Laura Brooks that looks into how to increase customer loyalty. “Answering the Ultimate Question” follows up on the 2006 bestseller “The Ultimate Question” and sheds light on how to improve the overall customer experience. Innovation and transformation are among the critical components which the metric tool “Net Promoter Score” uses in order to analyse a company’s performance through its customers’ eyes. This includes continued innovation of the customer experience to create competitive differentiation - and activating positive word-of-mouth. 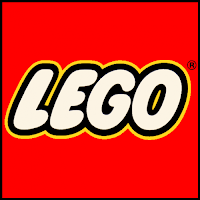 Lego is mentioned as an example of a company that successfully used feedback from its online community to help creating and launching a new product. More on this book and on “what works” here and here. More on the DEI Worldwide study here. More on word-of-mouth marketing (“buzz marketing”) earlier discussed on this blog here. For some quotes on the value of word-of-mouth click here.